We observe the world around us, model complex processes through space and time, and create new ways of visualizing and interacting with spatial data. Our work results in innovative, actionable strategies that address real-world problems. Learn more about the research areas of our Faculty Fellows. 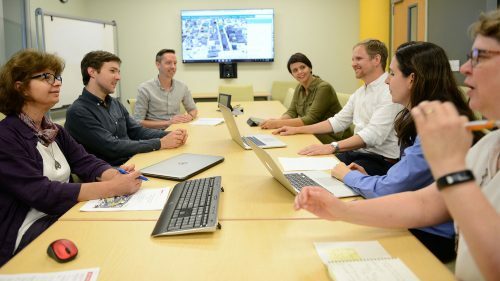 At the Center for Geospatial Analytics, we make thorough and thoughtful observations about interactions between people and the environment. Our researchers amass robust datasets using emerging technologies and information shared by the public. 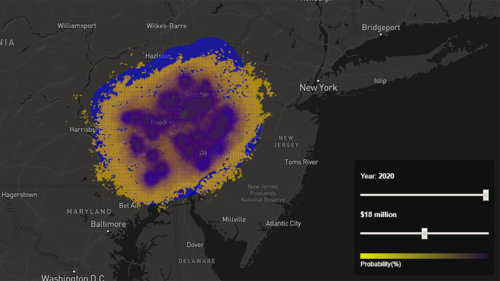 With the facts and figures gathered, we transform critical geospatial measurements into data-driven computer models to evaluate potential risks and compare mitigation methods. We then use leading geovisualization techniques to evolve those computer simulations into interactive tools. 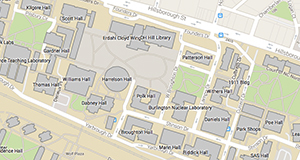 The visualizations we develop provide meaningful spatial information in accessible formats that let us easily share scientific data across the university and with myriad government and industry partners. Ultimately, our work provides guidance for solving environmental and societal challenges and advancing the frontiers of geospatial analytics. Contracts and grants from public and private sources support our research projects. 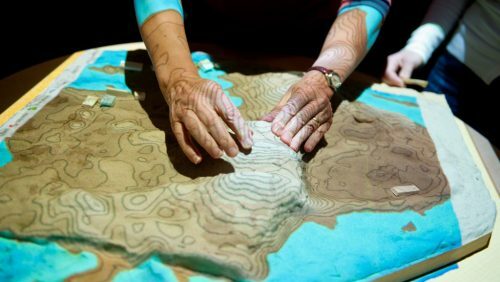 The foundation of spatial data, observations help us understand our changing environment and society. We build from them to design remote sensing technologies and create tools and techniques for analyzing data collected on the ground, in the air via unmanned aerial systems or piloted aircraft, and even from space. We also rely on citizen scientists and public data sources to provide information about the environment and the use of developed spaces. 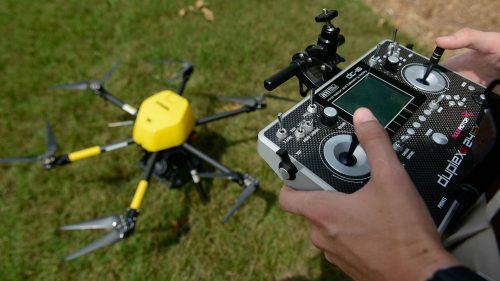 Faculty and students deploy these aircraft to revolutionize data collection in the geospatial sciences and explore how to leverage open source software during data processing, modeling and visualization. 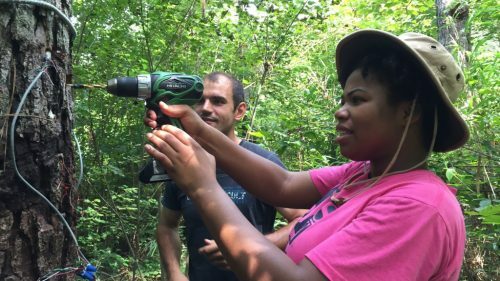 Students from historically black colleges and universities develop and use tree probes that monitor forest health across an eastern U.S. forest network for the Remote Assessment of Forest Ecosystem Stress Project. 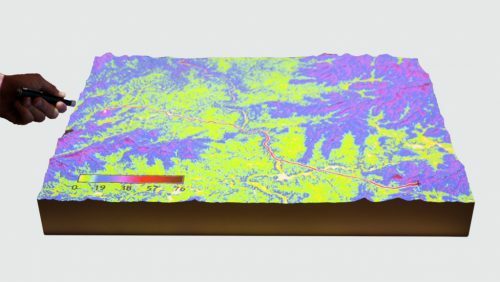 Researchers in the Spatial Ecosystem Analytics Lab combine data from multiple satellites and other sensors, machine learning and models to investigate continental- to global-scale processes such as seasonal change. Researchers track the activity patterns of volunteers wearing accelerometers to determine how the spatial configuration of their workplaces and homes influences the amount of exercise in their daily lives. 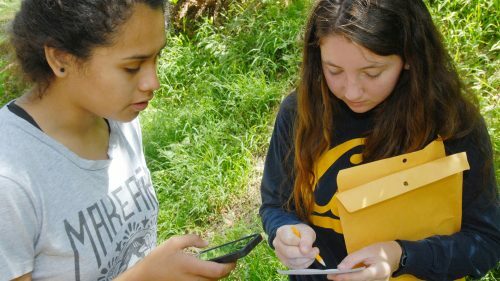 Data collected by citizen scientists observing leaves in California help researchers track the spread of Sudden Oak Death and develop predictive maps of disease risk to inform management actions. 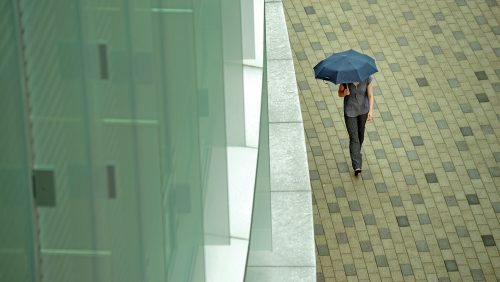 Public data sets from streaming street cameras document how pedestrians use public spaces and can be used to guide urban planning, while crowdsourcing helps researchers process camera footage efficiently. 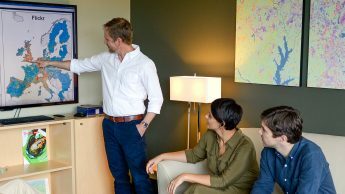 We develop data-driven computer simulations that consider the dynamic interactions between both spatial and temporal dimensions of environmental change and human well-being. Examples include simulations of emerging infectious disease, spread of wildfire, and urbanization. Using these models, we explore scenarios of alternative futures to reveal tradeoffs and uncertainties. Our researchers created PoPS, the Pest or Pathogen Spread simulation, to test potential management actions for controlling invasive pests and designing various interventions to curb their geographic spread. A spatially explicit model developed by our faculty simulates the spread of Sudden Oak Death in California, accounting for forest composition, local weather conditions and transmission among hosts. 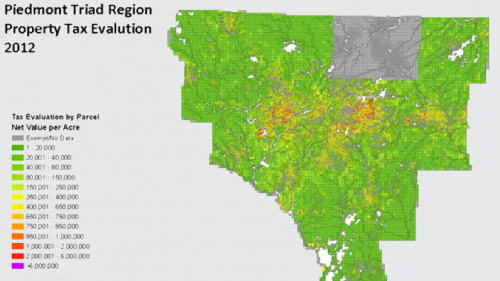 We developed the FUTURES model to simulate urban development through time and explore how different city planning scenarios may affect regional growth, landscape fragmentation and conservation efforts. 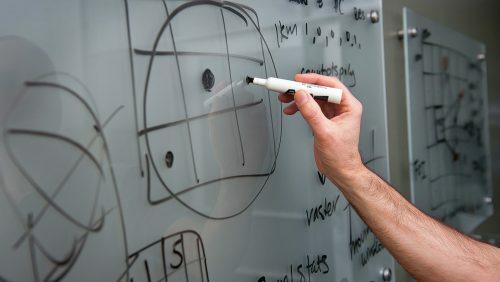 Visualization techniques make the scientific process more transparent by providing easy-to-understand graphical representations and imagery. 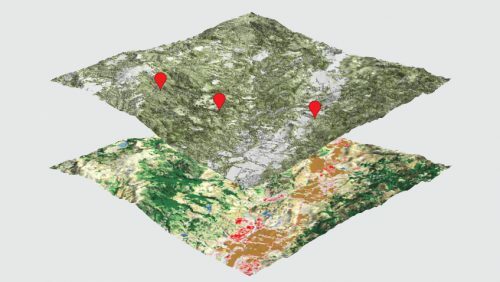 With geovisualization, we help users with varying levels of expertise explore and interact with complex spatial data. 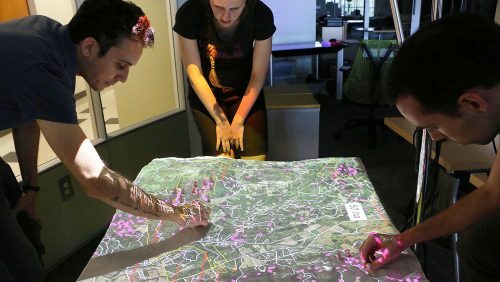 And many of the geovisualization techniques we create advance human-computer interaction by enabling intuitive exploration of data models through tangible gestures and eye movements. 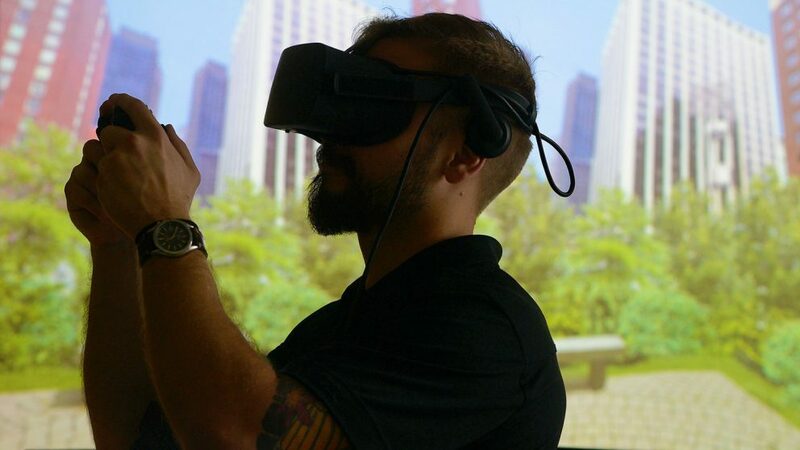 Modified 360-degree photography in a head-mounted display allows our researchers to better understand human perceptions of environments and improve landscape design through virtual reality preference experiments. 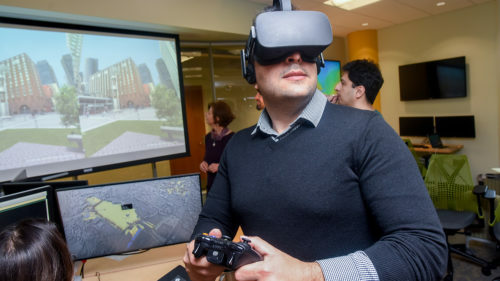 Voxel displays allow geospatial researchers here to visualize in a 3-D space the variable occupancy densities of real places, such as the pedestrian use of a public plaza across different paths and times of day. 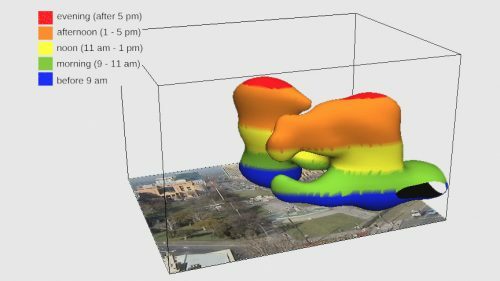 Our Tangible Landscape is an open source interface for 3-D sketching powered by GRASS GIS that couples a malleable physical model with a digital model through a continuous cycle of 3-D scanning, computation and projection. 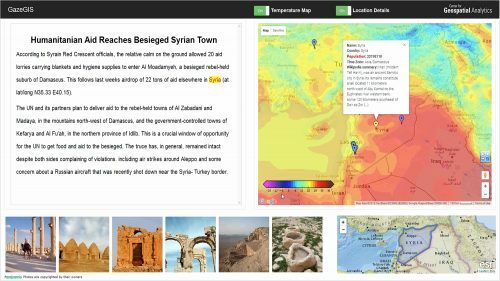 Combining geoparsing and eye-tracking technology, GazeGIS displays location-based photos as a reader encounters place names in a passage of text, providing vital geographic context without interrupting a story's flow. 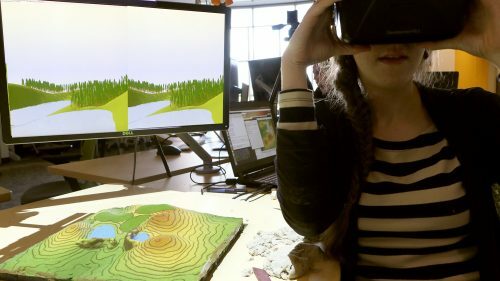 As a user interacts with Tangible Landscape, open source 3-D modeling and rendering software couples with GRASS GIS to create a geo-referenced 3-D model on a screen and in a head-mounted display. 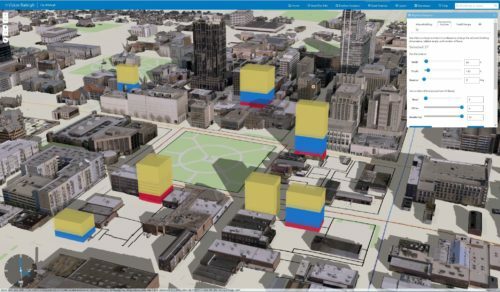 Our researchers work with the City of Raleigh to develop web applications that allow users to explore zoning scenarios and change structure properties in 3-D as they determine optimal building heights and uses. 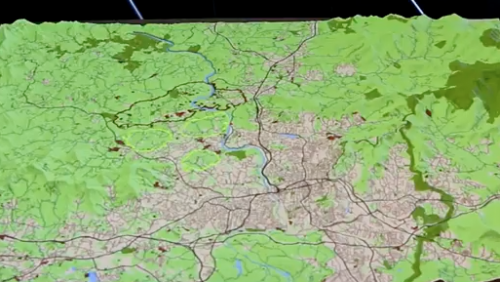 With Tangible Landscape, multiple users drive complex computer models by directly interacting with a physical surface as intuitive hand motions take the place of intensive coding and groups make decisions together. 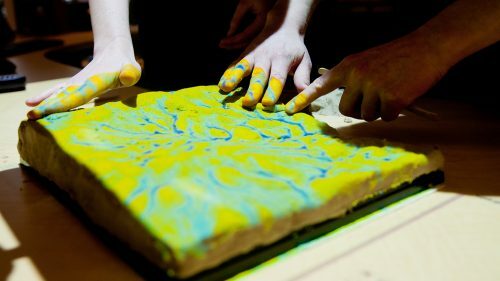 Tangible Landscape users here are able to sculpt the surface using polymer-enriched sand, define specific points or areas by placing wooden markers or colored sand, and draw paths using a laser pointer. Eye-tracking technology lets researchers here develop user-friendly applications that respond to eye movements and helps educators evaluate how students learn by recording where they look on a computer screen. By developing and providing free and open source software, applications and educational materials, we’re making the practice of open science possible. 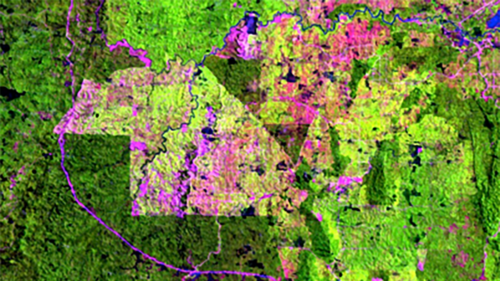 The decision-support systems we create allow for the visual exploration, analysis and presentation of spatial data required by natural resource and land-use authorities. Finally, scalable computing systems allow us to store, manage and deliver up-to-date, actionable geospatial information to our partners. Our GeoForAll Lab is a founding node of the global GeoForAll network and belongs to the University Consortium for Geographic Information Science, a nonprofit group of invited universities and research institutions. 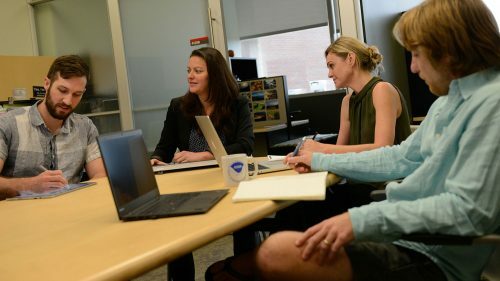 Helena Mitasova, our associate director for geovisualization, and several members of her research team serve on the GRASS GIS project steering committee, advancing development of this powerful open source software. 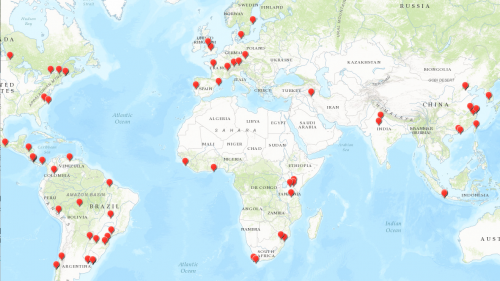 The GeoForAll Lab and individual members maintain GitHub pages to serve as open repositories that provide free code, tutorials and material for scholars interested in developing open source solutions to geospatial problems. 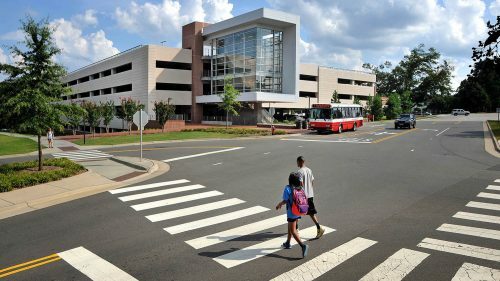 We worked with the Piedmont Triad Regional Council of Governments to develop a decision-support tool for determining if compact and mixed-use developments would yield higher tax values per acre than typical suburban spaces. 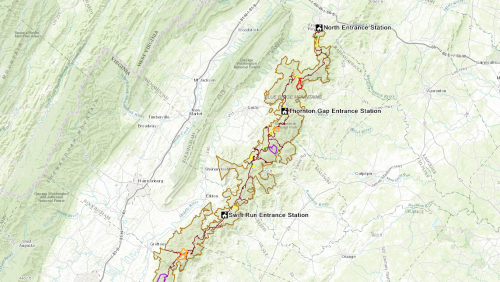 Our staff and students partner with the National Park Service to create web mapping applications, including ones that allow park visitors to plan out their exploration of trails at Shenandoah National Park. 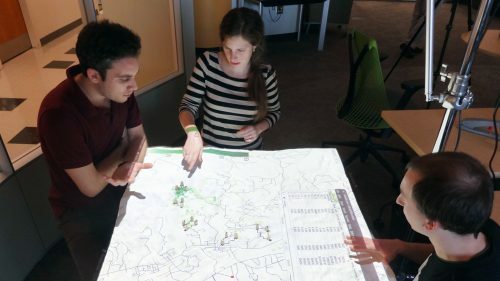 Researchers here are creating data-driven serious games that help stakeholders develop solutions collaboratively to landscape-scale problems, such as when and where to take steps to slow the spread of Sudden Oak Death. Our researchers partner with collaborators including the National Park Service to create custom web mapping applications that rely on geospatial databases which are accessible and editable by many users at the same time. 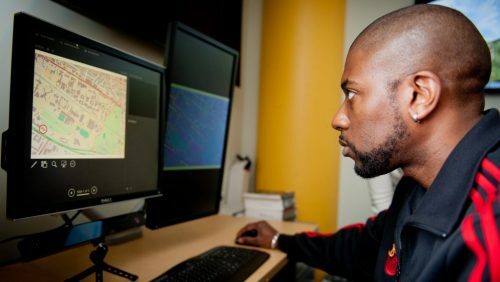 Computer science researchers here innovate computational steering methods, discover new approaches to supercomputing, and develop simulations with high-resolution imagery and climate data. 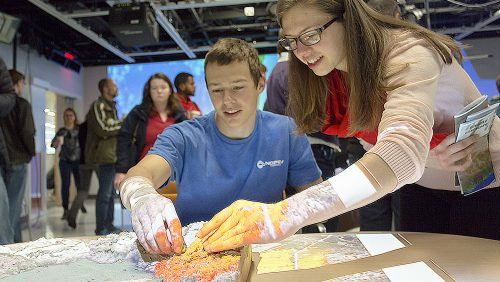 We perform educational research to help everyone from elementary school students to graduate scholars understand and apply geospatial concepts so they can use and eventually create advanced technologies. 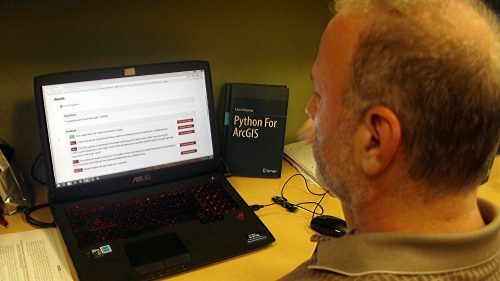 Our faculty members create new educational tools like Py4All, which helps students learning the programming language Python check the code they've written for errors so they can grow from their mistakes. We conduct groundbreaking research on urgent issues ranging from public health to biodiversity. The results and insights gained are consistently featured in peer-reviewed journals. Financial support for our research projects comes from contracts and grants awarded by state and federal government agencies, educational institutions and private industry.